Glamlite Cosmetics is proving once again that you don’t have to just eat your favorite comfort foods, you can wear them, too. 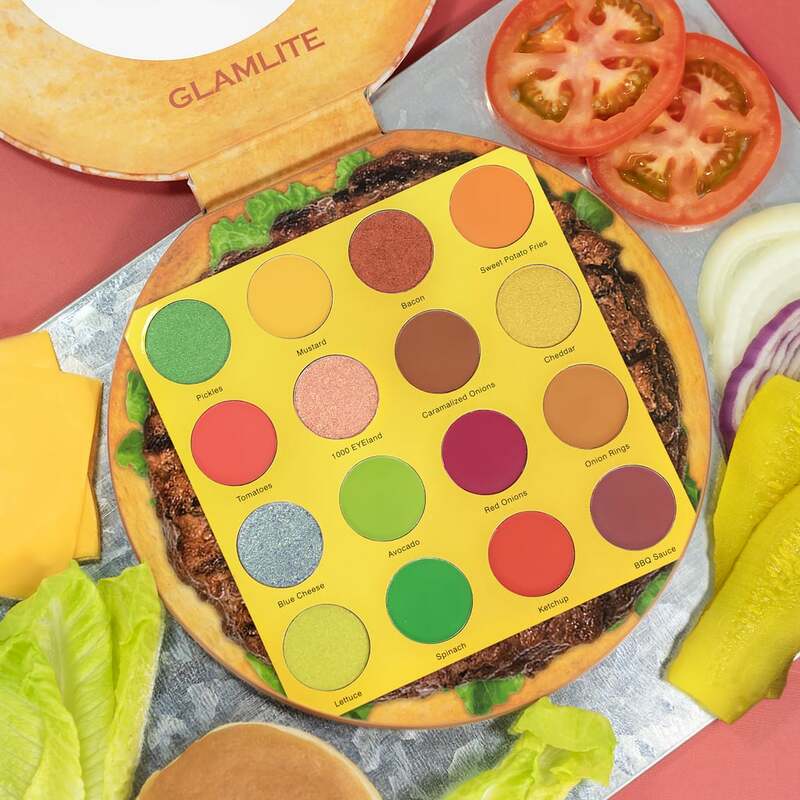 The cosmetics brand and mastermind behind last year’s wildly popular Pizza Palette is back with an all-new eye shadow palette that’s modeled after a cheeseburger with all the fixings. The Burger Palette, as it’s called, was inspired by founder Gisselle Hernandez’s love of cheeseburgers. Like its pizza-themed predecessor, it features 16 matte and metallic shades that are all named after burger toppings and sides, of course. From Blue Cheese, a metallic silver, to Onion Rings, a burnt orange, the palette pretty much has any color you need to make your next look catch as many eyes as possible. The palette is currently available for pre-order on Glamlite’s official website, where it retails for $40. Read ahead to shop and take a look at a few fun product images.